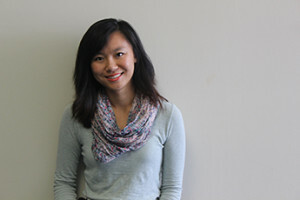 Senior Michelle Chong is a very successful, glamorous Pulitzer Prize award winning journalist. She has won every award the writing community literally has to offer. When not busy rejecting job offers from major newspapers such as The New York Times, Chong enjoys reading, biking, drinking copious amounts of coffee and tea, and showering (unwanted) affection to her cat. "We knew that she would be a great investment when we bought her (she was the only infant on discount) from the grocery store. Not only is she a gold-medalist Olympic swimmer, concerto pianist and a part-time brain surgeon, she still manages to find time to work on a high school newspaper staff. We're so proud of you." "Michelle is like...totally the best person ever. Everything she writes is absolutely amazing. Someone should give her a million dollars. And lifetime tickets to Coldplay concerts."